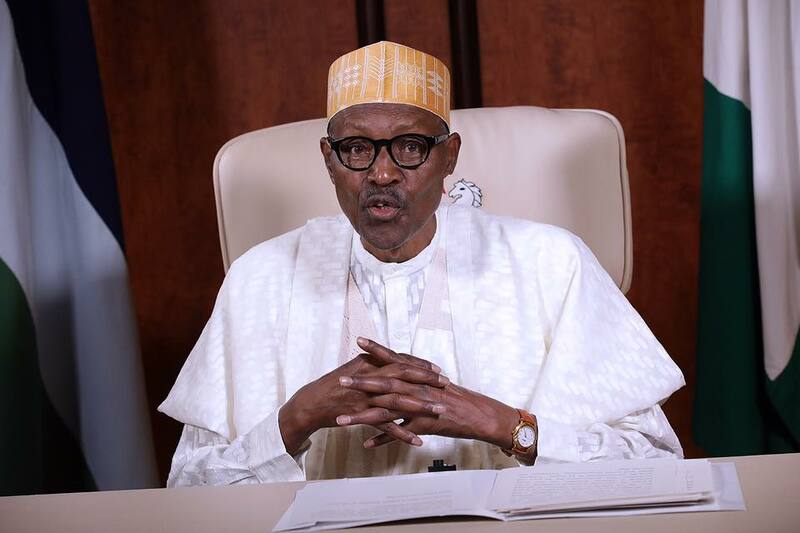 President Muhammadu Buhari has reacted to the release of the 2019 election timetable by the Independent National Electoral Commission INEC. Buhari on Thursday warned against electoral violence to sway electoral support, making reference to the peaceful 2015 elections. Represented by the Secretary to the Government of the Federation, Mr Boss Mustapha, he urged Nigerians to emulate the peaceful election in 2015 while commending ex president Goodluck Jonathan for decent political conduct. He disclosed this while delivering a keynote address at the 15th Daily Trust Dialogue. “My Predecessor,President Goodluck Jonathan by his actions in 2015, had already set the tone for decent political conduct in the country. “I also call on politicians and political parties to pledge their commitment to the peaceful democratic process by urging their supporters to respect the electoral process and restrain them from violence. All aggrieved parties should seek redress through constitutional means and respect for the rule of law. “On our part, I want to assure Nigerians that my administration will not condone any violence, support any individual or groups that undermine citizens’ confidence in the ability of the country’s political institutions to conduct peaceful and successful elections”, he said.